Walmart's got a good deal on a Ryzen-based PC, while Newegg's got a budget FreeSync monitor to complement it. If you want to get your game on, but don’t want to build your own rig, Walmart’s got you covered today. The rollback giant is selling a Ryzen-based 1080p gaming PC rocking a Ryzen 7 processor and a Radeon RX 590 for $1,050Remove non-product link. Newegg, meanwhile, has a 24-inch 1080p monitor with FreeSync for $110Remove non-product link. The CyberPower PC Gamer Supreme features an AMD Ryzen 7 2700X processor, an 8GB Radeon RX 590 graphics card, 16GB of RAM, a 240GB SSD, and a 2TB hard drive. The Ryzen 7 2700X is a great 8-core processor featuring a liquid cooler, and a 3.7GHz clock speed—we really liked it when we reviewed it last year. But the real star of the show is the RX 590, which we recently crowned as the 1080p gaming champion. You can just crank all the settings up to the max at 1080p on most games for a great experience, and you can get a pretty respectable showing at 1440p too. 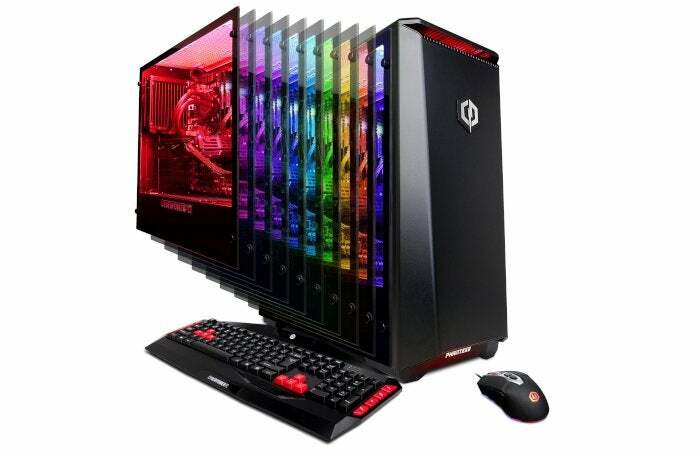 At $1,050 this is a pretty good price considering we recently covered a similar CyberPower gaming PC with the Ryzen 7 2700 and an Nvidia RX 2070 for $1,200. That's $150 more than this deal, and you're still getting a great graphics card with a better processor. If you do get this desktop PC, you can also grab the Acer GF246 for $110 at Newegg. This is a 24-inch 1080p AMD FreeSync monitor featuring a 75Hz refresh rate, and a 1ms response time. Newegg is selling it for $120, but you can save an extra $10 using the checkout code EMCTVTA53. This story, "Make your own gaming bundle with a $1,050 Ryzen-based PC and $110 FreeSync display" was originally published by PCWorld.